The MCU as we know it is ending, but that doesn't mean the influence of its Phase 1 films will be or should be forgotten. With Avengers: Endgame nearly a couple of weeks away, Marvel Studios is about to close the book on an 11-year, 22-movie saga. The Marvel Cinematic Universe itself will certainly continue, but Avengers: Endgame will reportedly represent the end of an era for the series. As the end to the initial MCU era draws near, now is the perfect time to reflect on it. Throughout the past decade, this multi-franchise juggernaut has become an indelible part of not only the film industry but also the greater pop culture landscape. For better or worse, it seems as if so much of today’s geek-friendly entertainment is fighting to become the next MCU. Honestly, I don’t think it’s a stretch to call the MCU franchise this generation’s Star Wars or Harry Potter. It’s kind of hard to believe that Iron Man – the film that started it all – is nearing its eleventh anniversary. 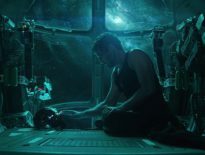 Looking back – and having recently re-watched Iron Man in preparation for the final film in the current MCU era, Avengers: Endgame – I can’t think of a better way to have kicked this thing off. If the film’s legendary post-credits stinger is any indication, there was definitely at least a hope – if not a fully fleshed out plan – on Marvel’s part to eventually deliver the impossible: A big-budget, live-action Avengers movie. That said, Iron Man definitely seemed primarily concerned with telling its own story, rather than setting up others. Indeed, Iron Man is one of my go-to examples in terms of superhero origin stories. There’s a purity to this movie that’s made all the more refreshing with the passage of time – thanks in no small part to Jon Favreau’s cool, yet wide-eyed direction. Additionally, Robert Downey, Jr.’s inaugural turn as Tony Stark makes for some of the most inspired casting in any movie. It’s the kind of born-to-play-this-role casting that puts Robert Downey Jr. in the same company as Heath Ledger’s Joker and Hugh Jackman’s Wolverine. 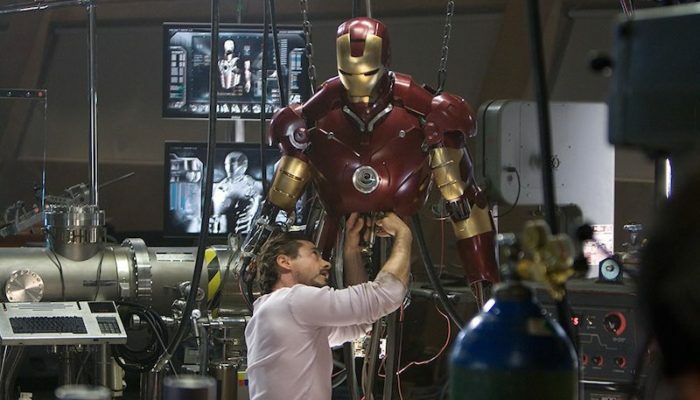 Amidst the flashiness of the Iron Man suit itself, the arc that Stark undergoes lies at the core of the movie. This is a man who, after undergoing a traumatic, all-too-humbling experience, changes his ways for the better. Again, it’s this kind of purity that helps this flick stand the test of time. Due to Bruce Banner’s recasting in-between The Incredible Hulk and The Avengers, it’s understandable that some folks – for a while, at least – seemed to forget that this movie was even part of the MCU. This one tends to go unnoticed among Marvel’s ever-increasing library, but I’ve got a soft spot for it. The Incredible Hulk is a traditional Hulk story through and through, with Banner on the run from the military throughout most of the film. Despite some stretches feeling like a bit of a slog, the movie absolutely brings the goods when it’s time for the “Other Guy” to shine. Unlike 2003’s Hulk, this incarnation perfectly captured the green giant’s raw, unhinged nature. 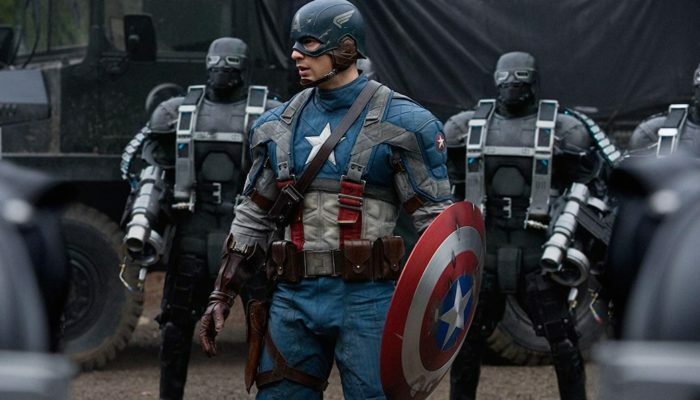 Both his run-in with the military on a college campus and his final battle with Abomination are among my favorite set-piece moments in the MCU. Speaking of Abomination, Tim Roth’s portrayal definitely made for one of the more underappreciated Marvel baddies – wouldn’t mind seeing him pop up again, as he’s one of the few MCU villains to make it out of his film alive. The first Iron Man was a relatively self-contained story that seemed laser-focused on Tony Stark’s redemption arc. And though its sequel, Iron Man 2, is competent enough – and definitely has its moments – that same level of focus is conspicuously absent. The movie is plagued by numerous subplots that, on their own, could’ve made for engaging Iron Man stories in their own right. As they’re presented here, though, only helps to make Iron Man 2 feel even messier. I occasionally forget that Scarlett Johansson made her debut as Black Widow in Iron Man 2, as she really didn’t come into her own as the character until The Avengers. That’s not a knock against her talent, but rather against the script for giving Natasha relatively little to do. Iron Man 2 released around the time that we definitively found out that Earth’s mightiest heroes would join forces in 2012. As a result, Iron Man 2 was one of the very few instances in which Marvel got a little too ahead of itself by including elements – like Black Widow – that only served to set up future projects. As much as I enjoy the MCU’s first outing, Thor has got to be my favorite standalone, non-Avengers Phase 1 entry. Director Kenneth Branagh’s Shakespearian background brought plenty of weight to the proceedings – surprisingly so, given how silly the idea of a Thor movie sounded in the years leading up to its release. Thor and Loki’s sibling rivalry serves as the emotional core of the story, with Tom Hiddleston’s turn as the God of Mischief serving as the gold standard for MCU villains – you know, until Thanos came along. At this point, I’m convinced that – from the get-go – it was Producer and President of Marvel Studios Kevin Feige’s grand mission to turn the general movie-going audience into comic book nerds – scholars of useless information. That isn’t going to happen overnight, though, for it was best to start with something relatively low-key. Iron Man was that happy medium – just fantastical enough to be immediately identifiable as a superhero movie, yet grounded enough to keep itself from feeling overwhelming to most people. The MCU definitely eased its way into the idea of aliens – even Thor seemed to take place mostly on Earth. It wasn’t until Guardians of the Galaxy – six years and 10 movies in – that the franchise blew the door open on its cosmic scene. Even excluding the World War II setting, there’s something inherently old-fashioned about Captain America: The First Avenger. Although many of its contemporaries – including other Marvel flicks – boast a snarky, occasionally tongue-in-cheek flavor, this movie goes for straight-up earnestness. 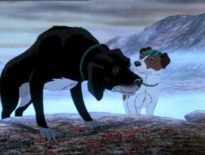 Does it tread into some pretty hokey, emotionally manipulative territory as a result? Of course! Admittedly, though, I find that to be part of Captain America’s charm. The same goes for Captain America himself. Unlike, say, Tony Stark/Iron Man and Thor – both of whom essentially turn over a new leaf throughout the course of their respective films – Steve Rogers is immediately portrayed as the exemplar of heroism. He’s definitely got his own flaws and insecurities, but on the whole, the dude is just so pure-hearted and good from the outset. That said, the movie does fall into some of the same trappings of its Phase 1 brethren. Each of these movies released in an era in which it almost seemed like a corporate mandate to include some sort of love interest for the hero. Although Jane Foster and Peggy Carter are important additions to their respective stories, their presence as love interests feel shoe-horned. It doesn’t help, either, when the actors involved have little chemistry with one another. Even today, I’d say the only effective pairings in the MCU up to this point have been Tony/Pepper and Peter/Gamora. Fortunately, though, the forced love interest has been far less common in recent years. 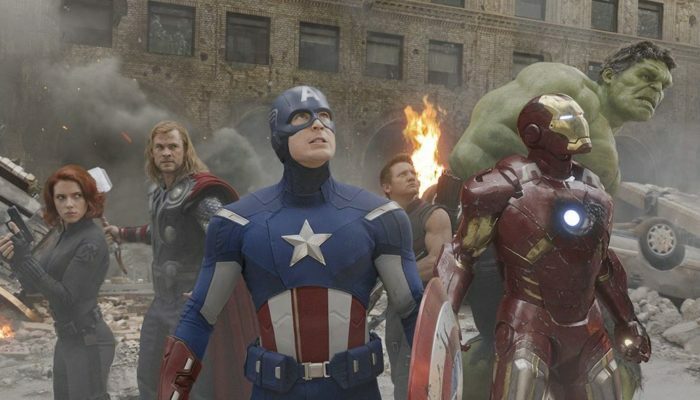 Although the idea of something like The Avengers seems like such a sure-fire thing today, many at the time were concerned that the film would come across as a jumbled, convoluted mess. I mean, how can a film with so many larger-than-life personalities not get in the way of one another? Who’s the main character?! Would the movie just devolve into an overlong fireworks display with little-to-no pathos? 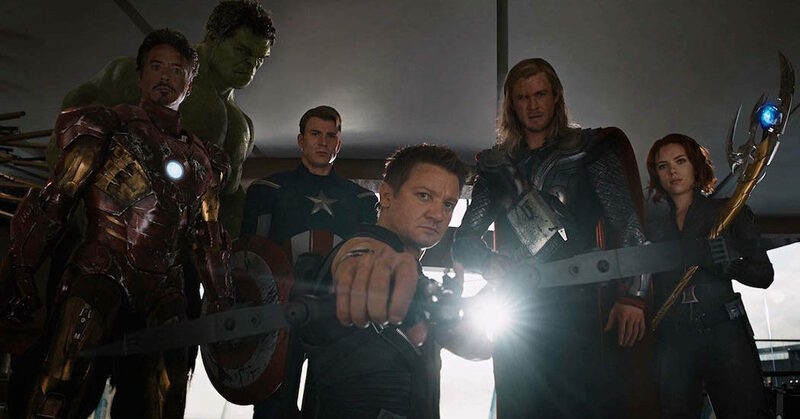 Thankfully, Director Joss Whedon recognized that the strength of The Avengers didn’t lie solely in getting a bunch of iconic figures together to cause a record-breaking amount of property damage. Don’t get me wrong – there’s plenty of that on display, but the bulk of this film is built on strong character writing and snappy dialogue. Virtually the entire second act takes place in the halls of a massive aircraft carrier. Here, this juicy clash of egos provides a whole new dimension to each of these heroes. Virtually every exchange of dialogue goes down exactly as one would want it to. Everything about these character interactions just feels so right. Again, though, when the fireworks go off, they go off! The climactic Battle of New York is, to this day, one of the most crowd-pleasing sequences I’ve experienced in a theater. The first time I saw that now-famous group shot within the context of the story – that’s the stuff movies are made of. Check back next week, as I’ll be revisiting Phase 2 as we draw even closer to the end of the MCU as we know it.